You are looking to transfer the skills you have from climbing indoors to the outdoors?You are already leading up to 6a indoors and / or outdoors but something is holding you back?You are climbing outdoors already on toprope and you want to start leading confidently?You are new to sport climbing and would like to know more about our sport? Please, see all inclusions & exclusions below. After we have received your booking details, we will get in touch with further information. You can pay your holiday either by bank transfer, credit- / debit card or Paypal. You can pay cash on arrival as well, however, if you’d like to pay cash we will ask for a deposit of 100 € in advance. * All inclusive accommodation in a shared double room. * All meals & beverages – We provide breakfast, packed lunches and an evening meal. All food is home cooked by our staff. * All transfers incl. airport pick-ups. * Excursions to Valencia or Alicante. We provide transport from the retreat location to / from Benidorm or Villajoiosa if you like to take a bus / tram to either of those cities. * Outdoor activities on the rest day. You can book a guided walk, sea kayaking etc. upon arrival. * Travel insurance. 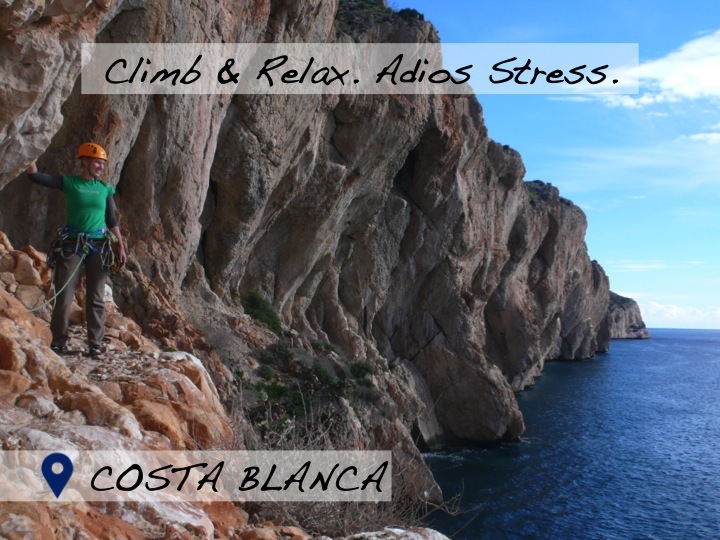 We highly recommend that you take out a full travel insurance which includes rock climbing valid for the duration of your retreat to cover you for medical emergency, rescue and repatriation to your home country.